The holiday season is upon us, and you know what that means: The Nutcracker. 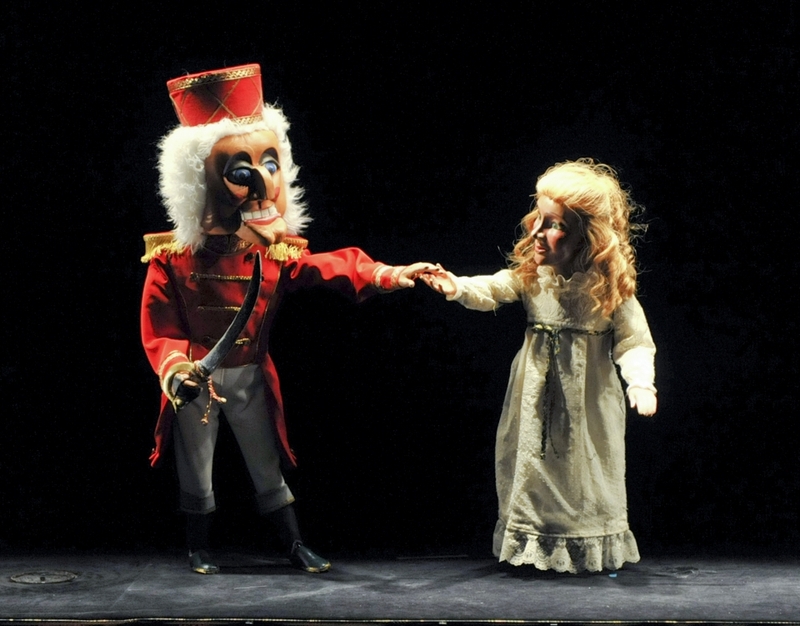 Here’s our round-up of local Nutcrackers, plus non-Nut holiday dance. It’s the holidays, and in the dance world, that means nuts are about to be crackin’ all over the place. North Texas will be filled with performances of The Nutcracker, which means box offices will be singing, parents and grandparents will be thrilled at seeing their kids in the party scene, and little girls will see the Sugar Plum Fairy and be inspired to take ballet lessons. Beginning this weekend, as the Moscow Ballet returns, you can see at least one performance of The Nutcracker each weekend if you like, right up through a few days before Christmas. 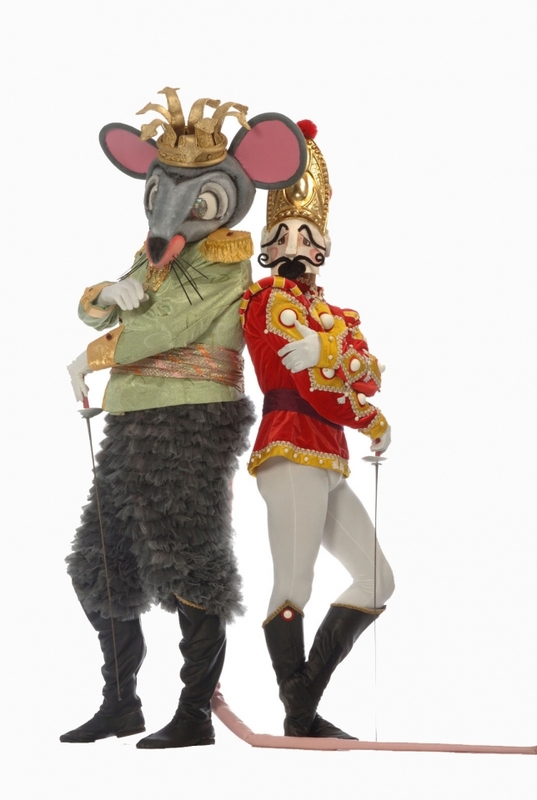 We’ve also included some pretty different takes on The Nut, as the dancers call it, from theater outfits Dallas Children’s Theater (marionettes!) and MBS Productions (burlesque!). And, because there are a few brave dance companies out there willing to do a holiday dance production sans the Snow Queen, we’ve also included the few non-Nut shows. This roundup was originally posted on TheaterJones.com. There’s too much going on in Boogie Woogie Christmas Carol, the annual holiday show from Contemporary Ballet Dallas. Dallas — While it was refreshing to see a winter dance performance not called The Nutcracker, Contemporary Ballet Dallas‘ Boogie Woogie Christmas Carol at McFarlin Memorial Auditorium Saturday evening was Christmas overload with excessive characters, scenes and props. The first act was a very kid-friendly affair with Christmas song classics, including “Jingle Bells,” “Santa Baby” and “Have Yourself A Merry Little Christmas,” but CBD also took some risks in the second act with song choices, including Florence & the Machine and Evanescence, which seemed geared to a more mature audience in this updated version of Charles Dickens’ A Christmas Carol. CBD’s tale, created by guest choreographers Jennifer Arellano, Kate Walker, Don West and Anna Ward, follows a modern day Ebenezer Scrooge as he navigates the mall in the run-up to Christmas; travels through time (the 1990s, ’70s and ’50s) with the Ghost of Christmas Past; visits his niece with the Ghost of Christmas Present; and has a very dark experience with the Ghost of Christmas Future before finally changing his greedy ways. Brandon McGee played the part of Scrooge well; authentic acting and good technique. Props to him for partnering all those ladies in multiple scenes. You could see the signs of fatigue in his shaky grip by the end of the show. Jorge Fuentes as Bob Cratchit. Courtesy of Contemporary Ballet Dallas. The story was straightforward enough, but with so many dance numbers and additional characters onstage, at times it was difficult to follow along. Standout performances were Jorge Fuentes’ (Bob Cratchit) contemporary solo in Scrooge’s office and the Snow Blizzard Ballet with the Snow Princess (Lea Essmyer). Both numbers were clean, vulnerable and visually interesting. The opening scene in the mall was crowded yet cheerful. The company ponied and shimmied through a couple of character-driven dances, including a trio to Santa Baby, while a few select students from the School of Contemporary Ballet Dallas pranced around as elves. The number of people onstage in addition to the Christmas tree and Santa’s chair station made spacing a little tight; prohibiting some dancers from fully extending their kicks. The production took a dark turn in the second act with Scrooge’s journey through the past, present and future. At times drawn-out and confusing, Scrooge’s look back at the ’50s and ’70s involved a young Scrooge being bullied in the schoolyard and then took a sharp left turn to a disco party scene featuring some iconic John Travolta moves from Saturday Night Fever. The Ghost of Christmas Present (Leslie Hale) stood out with her articulate body lines and Martha Graham contractions. The lighting and music turned ominous as dancers’ dressed all in black scampered across the stage in anticipation of the Ghost of Christmas Future’s (Jennifer Obeney) arrival. The dancers’ movements were primitive; slumped shoulders and a low center of gravity. It was probably the most creative choreography in the show, through I’m sure there were some little ones in the audience covering their eyes. The Christmas spirit returned in the final scene where Scrooge has changed his ways for the better and the whole cast performed an upbeat jazz/character number to Gettin‘ In The Mood: Dig that Crazy Christmas. It was risky, and certainly good for the kids and families, for CBD to feature some of its students throughout the performance alongside the company instead of the typical strategy which is to use them as “living props” and the “cute factor.” Unfortunately, at times the kids almost seemed too involved in some scenes, distracting viewers from the company’s otherwise proficient dancing.